Kremlin: Turkish leader apologized for death of Russian pilot shot down over the Syrian-Turkish border last November. 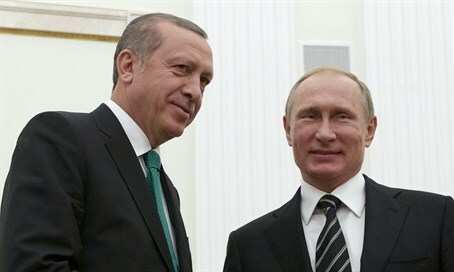 Russian president Vladimir Putin has received a letter from Turkish President Recep Tayyip Erdogan in which Erdogan apologized for the death of the Russian pilot who was shot down over the Syrian-Turkish border last November, the Kremlin said Monday. Erdogan expressed readiness to restore relations with Moscow, Kremlin spokesman Dmitry Peskov said, according to RT. In his letter, Erdogan said that Russia is “a friend and a strategic partner” of Turkey’s, and that Ankara would not want to spoil relations with it.